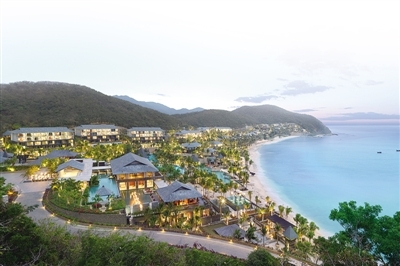 Sanya has topped Chinese cities in luxury hotel density recently and many international hotel brands are expected to continue their expansion into Sanya in the next ten years. Of the hotels in Sanya that are currently in operation, 20 are above 4-star international hotels including famous hotel brands like the Ritz-Carlton, St. Regis, Mandarin Oriental, Conrad, Hilton, Kempinski, Marriott, Starwood and Intercontinental groups. However, there are many problems with Sanya’s hotel market, such as the fact that the hotels have no truly distinctive features to set them apart from each other and mainland Chinese hotels, and that the development of these hotels is limited due to their lack of high-level talent, especially higher-level managers. Hotel professionals have suggested that the city’s hotels should not become obsessed with maximizing luxury and should instead highlight their unique features and concentrate on improving the brand’s competitiveness.